Holycross abbey, Co Tipperary is one of my favourite pilgrim sites. 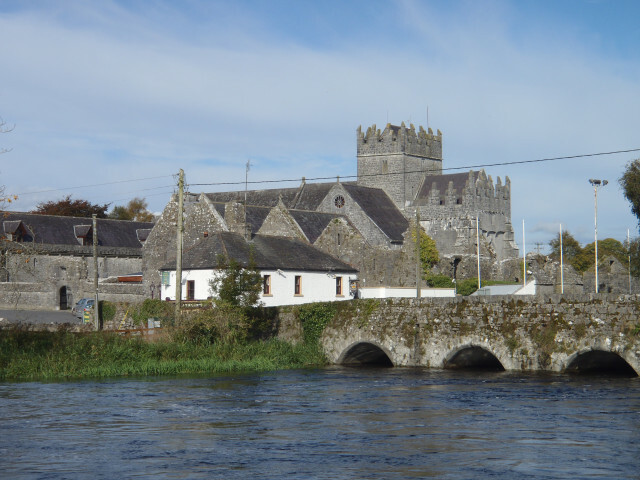 During medieval times the abbey was famous for its relic of the true cross that attracted pilgrims from across Munster. In a previous post I discussed medieval pilgrimage at the abbey. The abbey was also associated with a holy well. The well was recorded as ‘Abbey Well’ on the 1st, 2nd & 3rd ed. 6 inch Ordnance Survey map of Tipperary. The well is located close to the west bank of the River Suir, c. 10m east of the chancel of the abbey church. The earliest reference to the well and its associated pilgrimage dates to 1628 when a man called John O’Cullenan was cured of pain after visiting the well ‘near the front of the abbey church and drinking its water three times’ (Hayes 2011, 13). 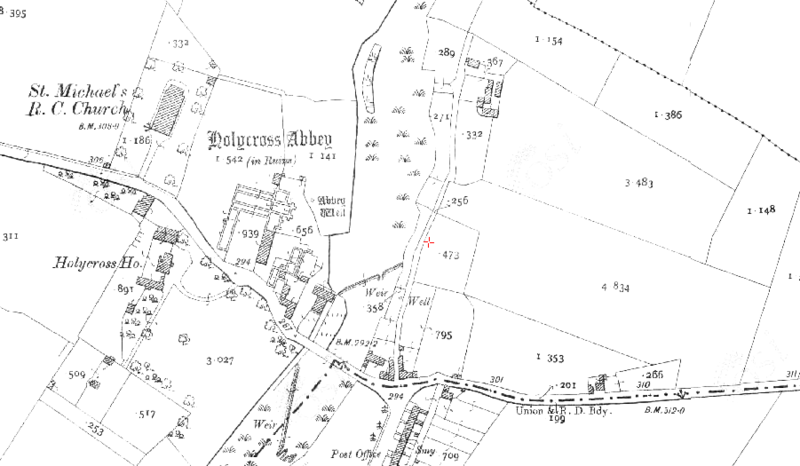 A Short Account of Holy Cross Abbey published in 1868 states the well was visited by pilgrims up to the beginning of the 1800’s when the pilgrimage was suppressed by the orders of Archbishop Bray. The book also makes note of pilgrim rituals at the well. The rituals included pilgrims going around the well on their knees three times before drinking the water. No doubt set prayers were also recited. In the ensuing years the wells importance declined and by the 1950’s pilgrimage had ceased and the well was reduced to a wishing well. The wells importance declined even further and today the well is covered over. This took place when the land surrounding the well was landscaped and turned into a prayer garden to commemorate the visit of Pope John Paul II in 1979. If anyone is interested in visiting Holycross abbey guided tours of the abbey are available on request (further information holycrossabbeytours@gmail.com / 086-1665869). Also thanks to Kilkenny Archaeology for the references relating to the holy well. C. M. E. A Short Account of Holy Cross Abbey /. Dublin: Edward Ponsonby, 1868. Hayes, W. J. Holycross : The Awakening of the Abbey /. Roscrea: Lisheen Publications, 2011. This entry was posted in Holy Well, Medieval Pilgrimage, Uncategorized and tagged Abbey Well Holycross, Holy well at Holycross Abbey, Holycross abbey and pilgrimage. I am wondering if you have any information on the Holy Well in Kilcommon Prayer Garden in Kilcommon Village in North Tipperary. Currently, I am working on the preparation of information panel for the new Hub at Kilcommon Community Hall and of course will cite your research with your agreement, if available.